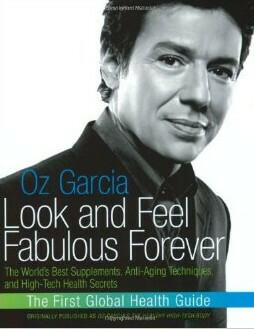 Oz Garcia’s Look and Feel Fabulous Forever is the first comprehensive guide to the finest health supplements, procedures, products, techniques, and technology in the world today. Whether you’re looking for remedies to boost your energy level, reliable sources for nutraceuticals, information on the latest European cell treatments, secrets to youthful aging, or the latest cosmeceuticals for skin, nail and teeth, it’s all here. Do you want to live until your ninety but always feel like you’re twenty? Do you want to find out about the most recent breakthrough in nutrition, weight loss, disease prevention, cognitive enhancement, and anti-aging? Do you want the very best body you’ve ever had- one that will last a lifetime?